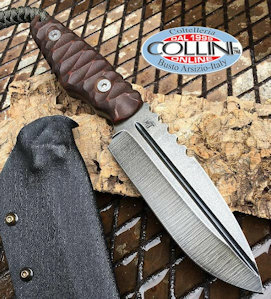 Introduced to the market in early 2015 from the Steel Will's tactical series, the Darkangel 900 combines the effectiveness of a simple line to an intriguing aggressive look. 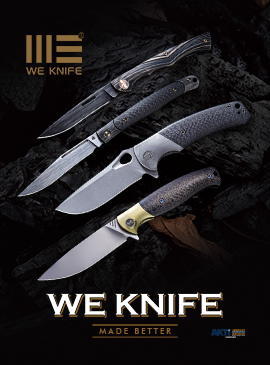 From an entirely Italian collaboration with the designer Molletta, comes the new M5 LionSteel's fixed blade knife. The tanto series fixed blade knives signed by Extrema Ratio, saw its debut with the T3000 line - now discontinued - and took new forms with the T4000 line which, in its compact version, is a good tactical back-up. The Diving COmpatc Knife (DICOK), presentend in 2013, is the first sub compact knife made by Extrema Ratio, which completes the range of products produced by the famous Italian Company, Extrema Ratio, specializing in the development and production of professional military and civilian knives.